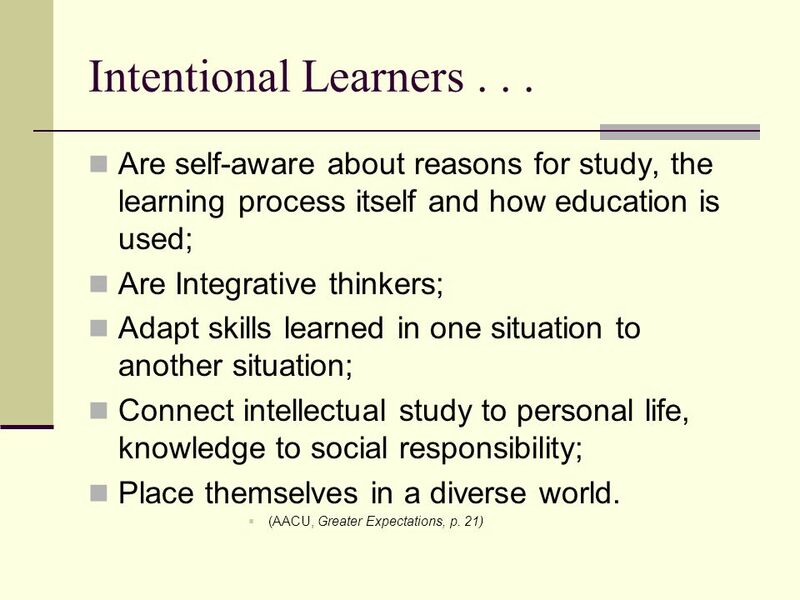 Assessing Intentional Learning: A Teagle Foundation Project Wendy Kolmar, Drew University. 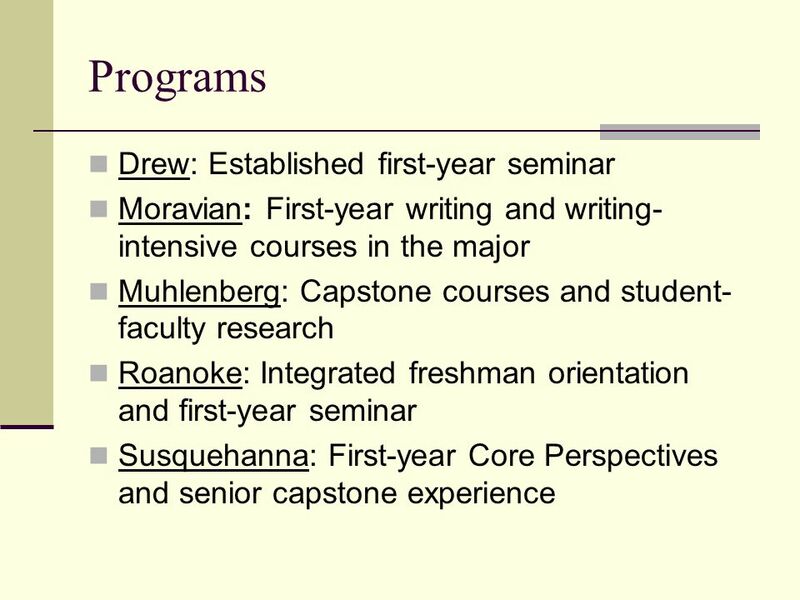 1 Assessing Intentional Learning: A Teagle Foundation Project http://www.moravian.edu/teagle http://www.moravian.edu/teagle Wendy Kolmar, Drew University Joel Wingard, Moravian College Kathy Harring, Muhlenberg College Adrienne Bloss, Roanoke College Tammy Tobin-Janzen, Susquehanna U. 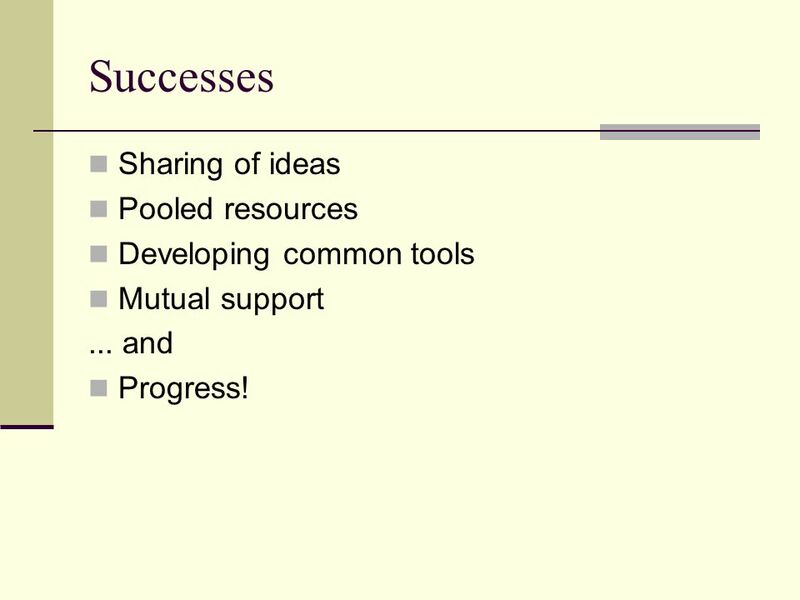 8 Successes Sharing of ideas Pooled resources Developing common tools Mutual support... and Progress! 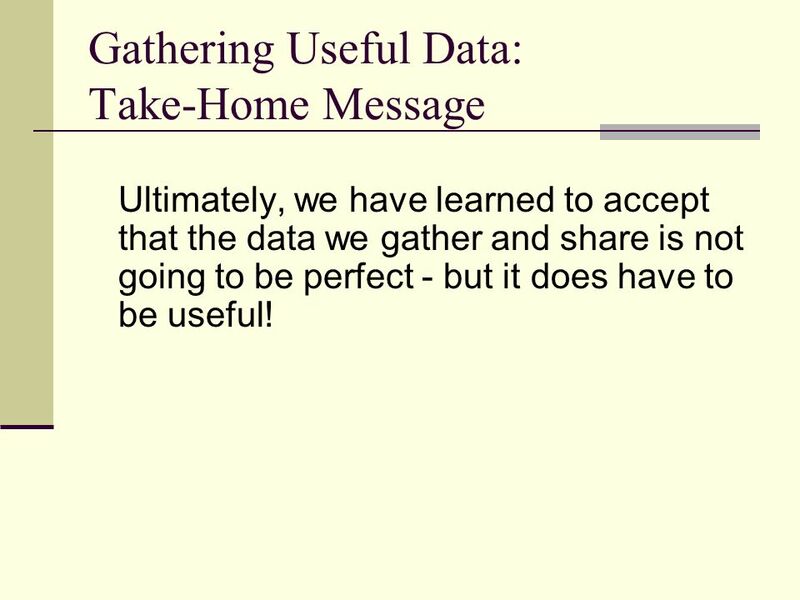 14 Gathering Useful Data: Take-Home Message Ultimately, we have learned to accept that the data we gather and share is not going to be perfect - but it does have to be useful! 15 Defining Success & Creating Change: Some Key Questions Do we have a shared definition of what success will look like? Is success for the consortial project the same as success for the individual campus projects? 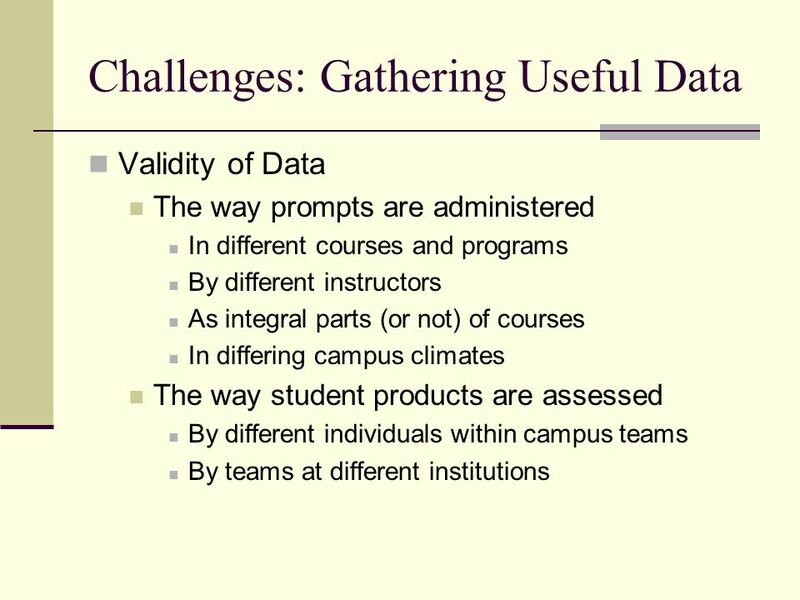 Given very different starting points for campus projects, how do we assess outcomes of campus projects relative to each other? 17 Creating Sustained Change Will participation in this project be a catalyst for sustained change on each campus? 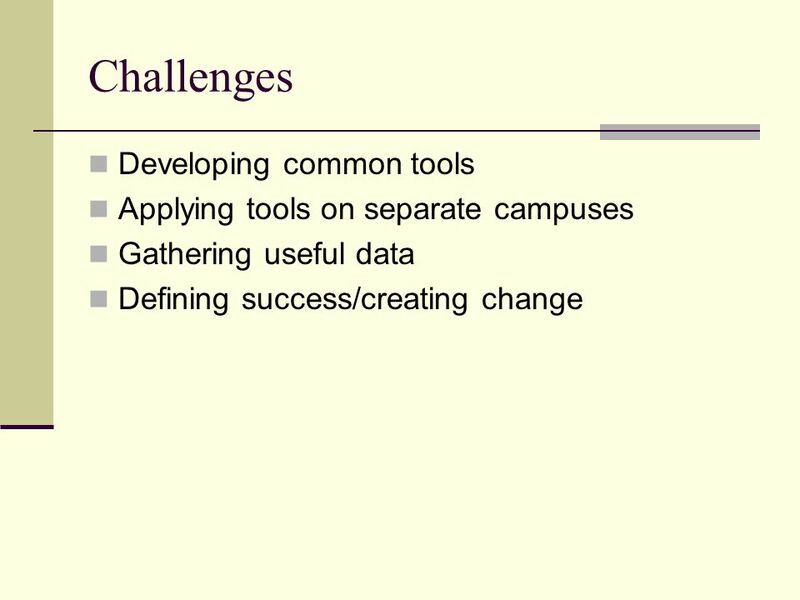 Is the model exportable so that the work weve done can be used to create change on other campuses? 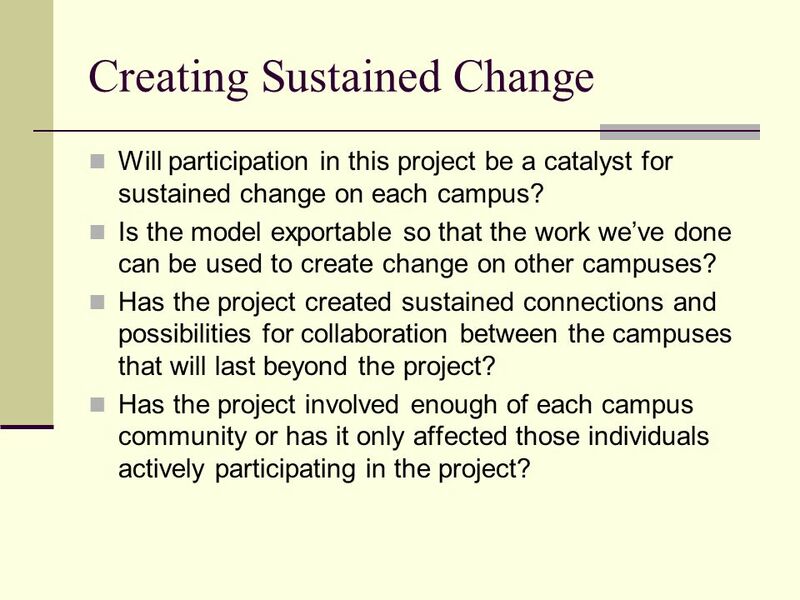 Has the project created sustained connections and possibilities for collaboration between the campuses that will last beyond the project? Has the project involved enough of each campus community or has it only affected those individuals actively participating in the project? 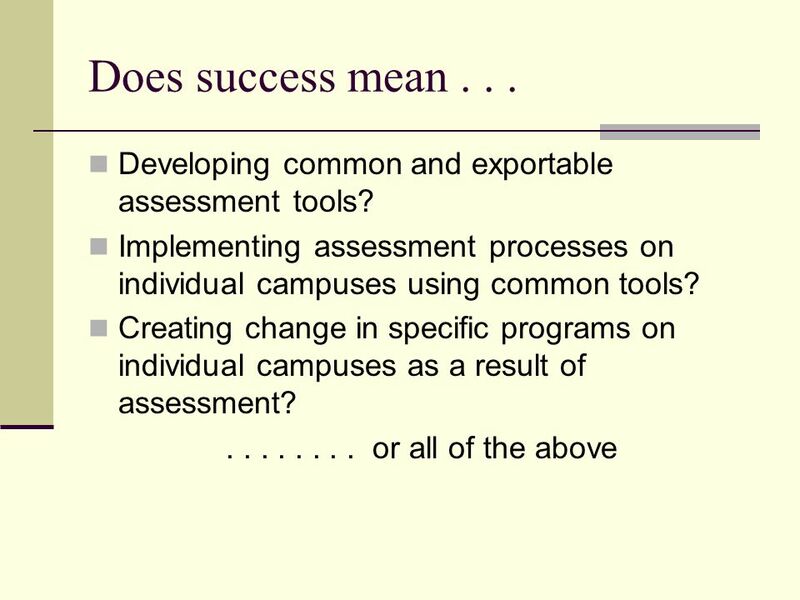 Download ppt "Assessing Intentional Learning: A Teagle Foundation Project Wendy Kolmar, Drew University." 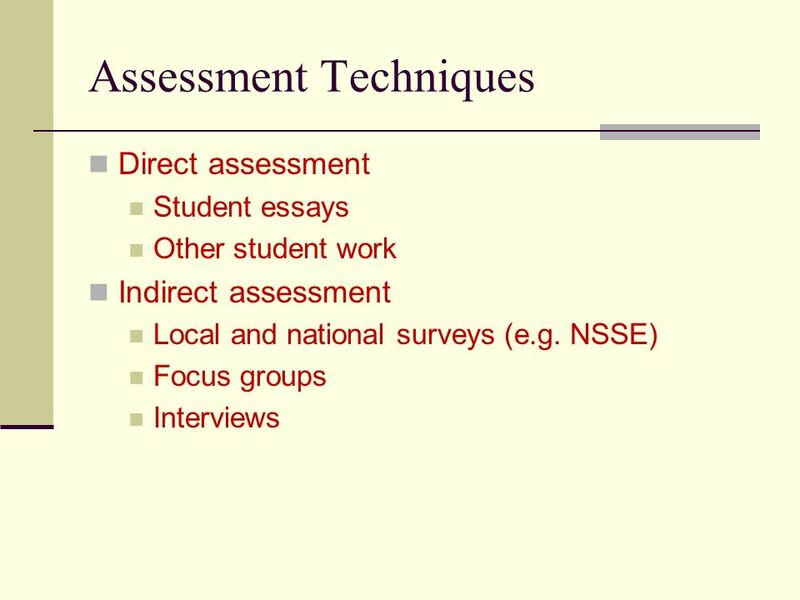 General Education Assessment AAC&U GE and Assessment Conference March 1, 2007. LEAPing Over the Achievement Gap: Minority Students and Academic Success in a First-Year Interest Groups Program Greg Smith Kari Fernholz University of. James M. Sloat, Washington & Jefferson College Kathleen E. Harring, Muhlenberg College Robert Rand Davidson, Ursinus College 2011 AAC&U General Education. Foundations of Excellence TM in the First College Year Laying a Foundation for First Year Assessment Nazareth College of Rochester, Marywood University. Designing an education for life after university: Some strategies CHEC, South Africa March 2011 A/PROF SIMON BARRIE, THE UNIVERSITY OF SYDNEY. What is LEAP? Roundtable Discussions October 19 & 20. APSU QEP. Explore practical learning experiences and opportunities to excel in life. APSU QEP. Foundations of Excellence ® in the First College Year Defining and Measuring Excellence in the Beginning College Experience Betsy O. Barefoot & John N.
Source Code: Assessing Cited References to Measure Student Information Literacy Skills Dale Vidmar Information Literacy and Instruction Librarian Southern. 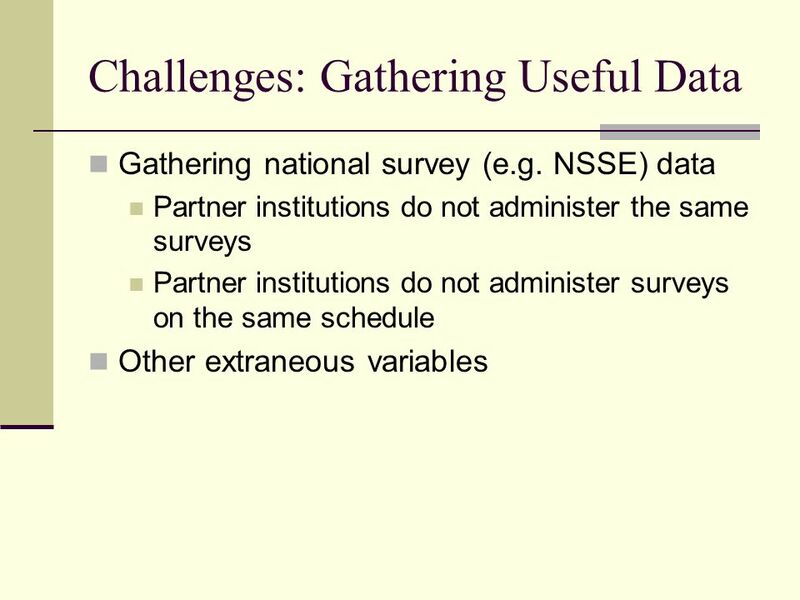 2008 National Survey of Student Engagement – SUNY Oneonta Patty Francis Steve Perry Fall 2008. Organizing Assessment to Foster Students’ Best Work Council for the Advancement of Standards National Symposium November 16, 2009 Carol Geary Schneider. Gallaudet Institutional Research Report: Annual Campus Climate Survey: 2010 Pat Hulsebosch: Executive Director – Office of Academic Quality Faculty Senate. 1 Accreditation and the First-Year Experience Kay H. Smith, Ph.D. Associate Vice President for the Academic Experience College of Charleston. COL 105 Freshman Seminar: Learning is Not a Spectator Sport! Jennifer Beattie and Katy Goforth.